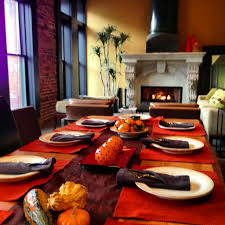 Thanksgiving is a wonderful time of year to reflect and feel grateful for health, family, friends, and good food. It is also a time to take stock of where you've been and what your next chapter is going to be. If you're a long-time homeowner, you have a lifetime of memories surrounding you. You cherish those memories, of course, but the piles of old hockey equipment, trophies, dance recital costumes that are taking up space in the basement and attic? Maybe not as much. The holidays are a great motivator. It's not often the whole family gets together, so this is a great time to sit around the table and discuss your plans for the future. Conversations starters such as: "We want to start getting the house ready to sell", "Kids it's time to box-up your memories and bring them home with you", and "We want to downsize so we can do more and spend less time and money maintaining this home" may lead to discussions about the next steps. Just as Thanksgiving dinner isn't cooked in an hour, planning your next move isn't done in a day. It takes lots of thought and preparation to get your home ready and to prepare for your next move. Consider us your potluck of home selling (and we bring a lot to the table!). Besides our real estate knowledge and local expertise, Steve McKenna and The Home Advantage Team have a host of accompaniments; stager, handyman, cleaner... We bring all this with us so you don't have to. We cater the home selling process to your needs and present your home for sale on a silver platter. If selling your home has been on your mind, now is the perfect time to talk about getting the process started. Please call me (781.645.0505.) for a free and confidential market analysis. Selling your home efficiently, quickly, with terms that meet your needs, and with as little stress as possible is truly something to be thankful for.